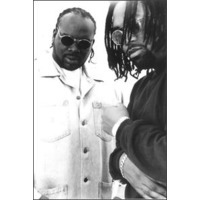 Tag Team was a hip hop/pop rap duo from Atlanta, Georgia, United States active from 1993 up to 1995. The duo was made up of Cecil Glenn (DC the Brain Supreme) and Steve Gibson (Steve Roll'n). They are best known for their #1 single, "Whoomp! (There It Is)", which was released in 1993, but rereleased as a remix in 2000. With no other major chart activity after "Whoomp! (There It Is)", they are considered a one hit wonder.